A new report makes it plain that given the growth of the chatbot market, there’s likely a mobile chatbot app in your future. [/caption] To build a chatbot or not to build a chatbot? That’s a question plenty of companies face today as they plan out their mobile strategies over the next several years. A new report, though, makes it plain that given the growth of the chatbot market, there’s likely a mobile chatbot app in your future. The report by MarketsandMarkets found that the worldwide market for chatbots will grow from $703.1 million in 2016 to $3.2 billion by 2021. 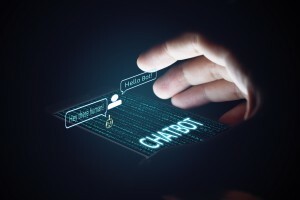 The growth, the report found, will be driven by the “proliferating demand of intelligent customer engagement, strong need to understand consumer behavior, and adoption of cloud-based technology.” Mobile chatbots will see the greatest growth of all, the report concludes, because of the increasing market penetration of smartphones and tablets. In addition, the report says, “the smart mobile advisors provide help to the organization in real time monitoring of customer behavior, trends, and interaction. It also tracks mobile services, such as geo-location, enabling rich, targeted communications based on location and event.” North America will be ground zero for chatbots, the report says. It concludes, “The adoption of smart advisors across North America is estimated to rise at a significant rate due to client-centric approaches, provision of 24/7 customer engagement, operational efficiencies, cost containment, and sustainability benefits and the changing business dynamics. This eventually increases the penetration of chatbots deployment in this region.” With the mobile chatbot market rising so fast, any company that doesn’t eventually turn to one can be left behind. A McKinsey report says that 29% of customer service positions in the United States could be automated through the use of chatbots and similar technologies. Doing that, says BI Intelligence, will lead to $23 billion in annual savings. And Garner estimated in a report that 85% of all customer interactions will be done without a human by 2020. But perhaps the clearest reason there’s a chatbot in your mobile future is this statement from Gartner in its report Four Use Cases for Chatbots in the Enterprise Now: “Application leaders need to include bots in their mobile app strategies to get ahead of this trend or it will disrupt patterns of employee interaction with no enterprise involvement.” Chatbots aren’t likely to kill mobile apps. Instead, they be incorporated with mobile apps. So you need to start planning now for how to use them. Alpha Anywhere is the ideal development platform for building chatbots, because of its powerful data integration capabilities with many new types of technologies. For details, click here. Lazy Loading is Faster Loading - Find out How.